To be built in the Village of Cinderberry! 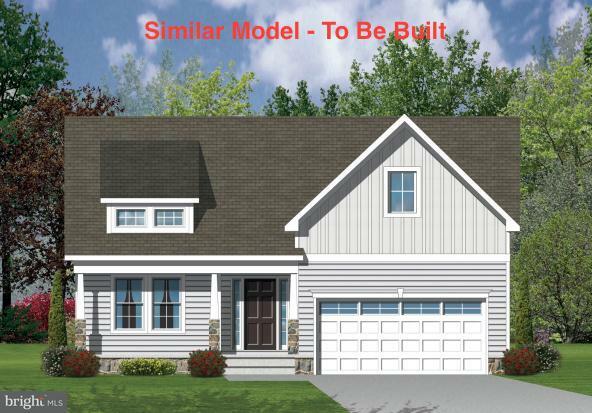 The Delray model is a 2 bedroom, 2 bathroom detached home that features a welcoming front porch that also acts as a great place for relaxing on warm summer evenings. Upon entry the Delray boast a nicely sized entry foyer with access to the den. The rear of the Delray is the central hub of the home. The open concept plan allows for smooth entertaining in the spacious great room. The fully equipped kitchen boast maple cabinets, along with granite tops and stainless steel appliances. The master bedroom features a en suite bathroom in addition to a large walk-in closet. The Delray is complete with Moen plumbing fixtures, brushed nickel lever door hardware, functional laundry room, attached 2 car garage, concrete driveway, sod and irrigation. The Village of Cinderberry is an active adult community with clubhouse, indoor pool, exercise room and so much more. Be sure to schedule a showing of the Delray today and begin enjoying the maintenance free lifestyle!